After a bit of a hiatus because of this, that, and the other (the three most common causes of hiatuses), the financial comics are back! I have to say: I missed them a bit. They're hard work, but I enjoy the challenge and I'm glad to have them back. This week's comic had to do with the recent, uh, turmoil in the market. At one point the market moved 600 points or so in the course of an hour. Which can make investors (and just about everyone else) a bit jittery. So the comic this week illustrates that issue. More specifically, it speculates whether or not the volatility will continue into the holidays. 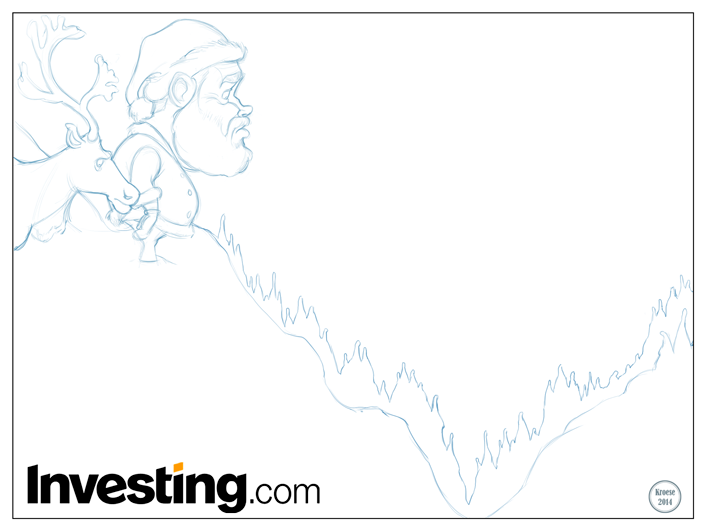 I was asked by the crew at Investing.com to draw a steep, valley-shaped hill covered in snow. The shape of the valley was to mimic the recent slide and partial recovery of the market. 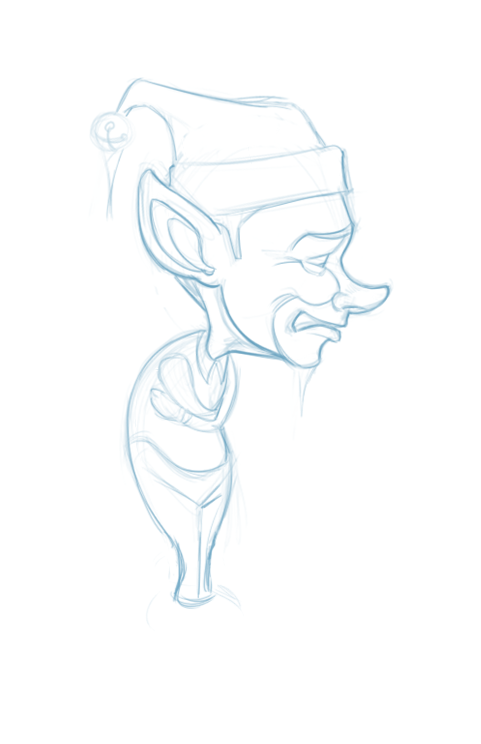 I was also asked to include Ol' Saint Nick standing at the top of the hill. -The colors: The emotional tone of this comic is uncertain (which investors dislike) bordering on anxious, so I chose the gray-ish color of the sky to reflect that tone. It also makes for a nice counter point to Santa's bright red suit. 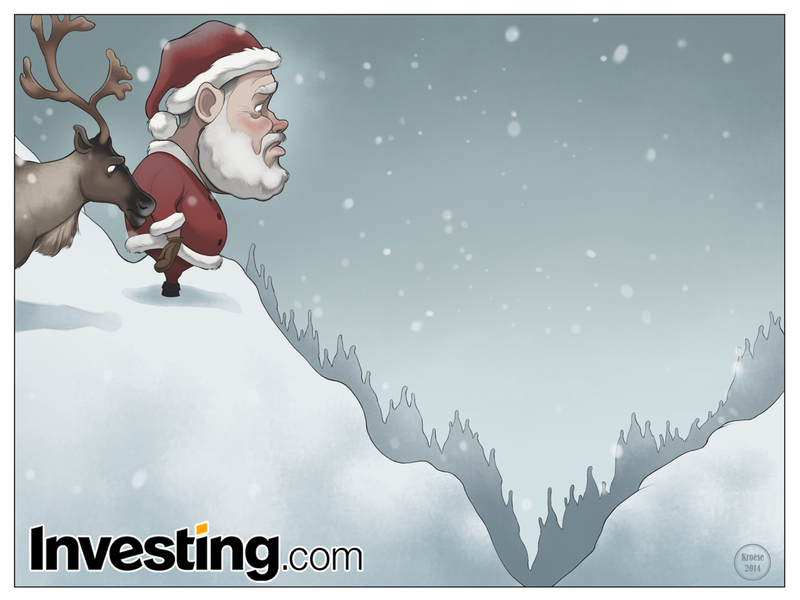 -Santa's face: Again, his expression purposefully reflects the market uncertainty. Also, he's rosy-cheeked and red-nosed just like in all the poems and songs say he's supposed to be. Finally, he kind of looks like Brian Blessed, which is an unintentional bonus. -The reindeer: I'm not sure I've ever drawn one before. Coloring him was fun. -The composition: You could argue that it's heavily weighted to the left side, what with both characters and the bulk of the color being entirely on that side. But I think their focus and the fact that the bulk of the negative space is in the right 2/3 of the canvas balances it out and creates a good amount of (brace yourself for an artistic term) visual tension. -I struggled a bit on the sizes of the characters vs. the size of the environment. I wanted the valley to seem bigger (and like more of a threat/dilemma). The natural option was to make Santa and the reindeer smaller. But I making them too small would mean losing detail (and interest) in the characters. Specifically their facial expressions. I'm big on facial expressions. They tell the bulk of the story. Or at least provide a lot of the emotional framework for it. We, as humans (apologies to any non-humans who are reading this and are offended at the assumption), tend to look for facial cues in order to know how to react to something. Even in cartoons, the characters provide some emotional guidelines for us. Which is why I think their expressions are one of the most important parts of any comic. I know, it probably seems like I think about this too much. And I do. But it's my job. Also, it's super fun.